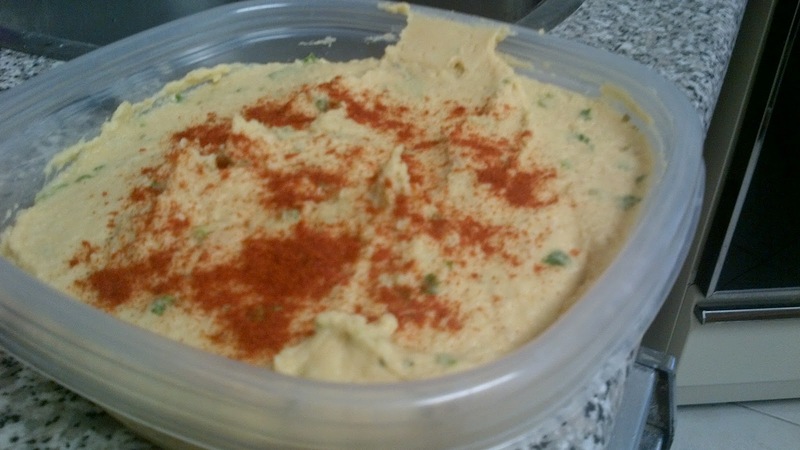 Hummus is such a blank slate. It's easy to make and there is so much you can do with it. Chickpeas are healthy and a great source of protein so it's a good idea to add them to your diet when you can. This week I experimented with herbs and garlic. I'm going to try to make up a new hummus every week for a while. I am happy with the result so here is the recipe. 1. Cook the chickpeas in a slow cooker until tender in about 4 cups of water. This takes a few hours. Drain the peas and add them to a food processor with all the other ingredients except the fresh herbs. 2. Blend until creamy. Add herbs and blend until well mixed. Enjoy!